I am sure some of you may already have birds nesting in your area. My "summer residents" as I call them still haven't shown up around here in the north country. Still have a few weeks before they invade and believe me they do invade. Once the babies are born we have birds everywhere! It is so neat to have all the babies around and watch them play. 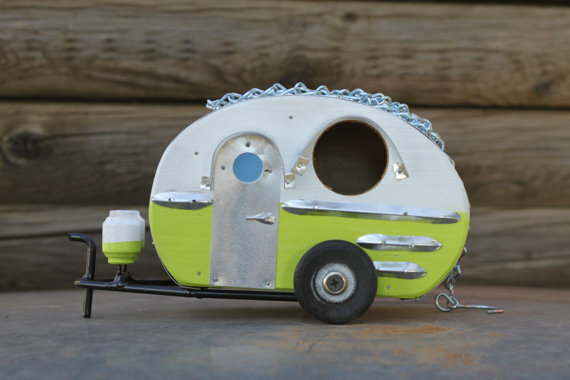 So.....with that in mind let's visit Etsy and see how people upcycle items to make birdhouses out of them. 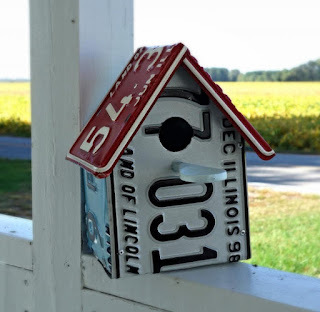 Can you believe this vintage teapot that was turned into a birdhouse! How cool is this!! It is so pretty I wouldn't want to put it outside! You can find it over at QueenBeeandMrMan. 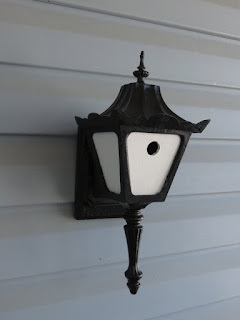 How about this outside light fixture turned into a birdhouse from Upcycled Collections. This would be just like a porch light by the front door but it is a birdhouse. Great idea! I know this one isn't really upcycled, but how cute this one! I just had to show all of you this when I saw it. This birdhouse would be absolutely great in a flower garden wouldn't it. VirtuallyVintageCO really did a great job at this one. 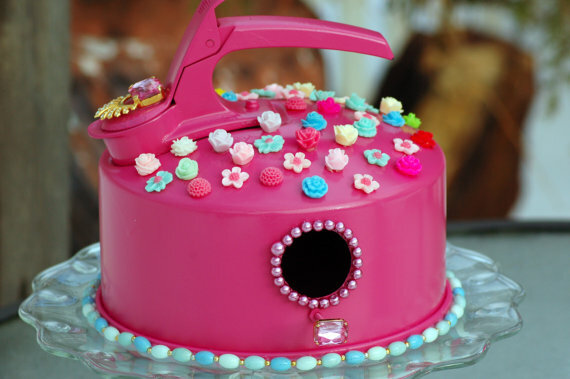 So it is time to get those birdhouses out and prepare for the babies coming. Our birds are all ground nesters so we don't do birdhouses, but we have the birdfeeders everywhere!